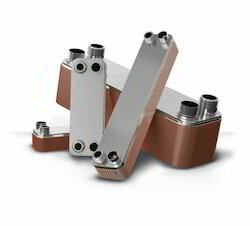 Pioneers in the industry, we offer brazed plate heat exchanger - bphe and dairy units plate heat exchangers from India. Ø PHE has been designed and calculated by expert and using software. Ø Analyze and calculated the Mechanical design and Thermal Design. Ø We have Hydro test , Pneumatic test facility .